In business, few things are more important than customer sentiment, which is formed by a delicate balance of ever-changing factors. Chief among these is brand reputation, which can make or break firms of any size, and is liable to change at the drop of a hat. We’ve previously looked at why reputation management is so important to brands – and examined the effect that the emissions scandal had on motoring giant VW – but building the reputation in the first place is a different proposition and something directly influenced by a company’s image. Image is impossible to quantify, but – in short – it is a combination of what the company represents and what is visible to customers, prospects and competitors, and ranges from internal processes, to the behaviour of staff, to the company logo. Branding is a visual representation of the organisation. It promotes recognition. It gives insight into what the company stands for. In some cases, branding can become more recognisable than the name of the company itself. How many drivers have seen golden arches in the shape of a letter ‘M’ and immediately thought about burgers? Branding can drive custom in the same way that a marketing campaign can; it is a constant advertising board and can be just as instrumental in turning customers off as it can in pulling them in, as Uber recently found out when the tax giant changed its logo. For global brands, a logo change can be a risky move, as it is effectively conditioning customers to associate their brand with a different image. In some cases, long-term customers who probably never gave a second thought to a company’s logo can suddenly be in uproar about a new design. In Google’s case, simply removing serifs was enough to attract criticism from detractors last year, who argued that it was too basic and even compared the design to Sesame Street. Of course, there are successful changes like Twitter, which altered its bird motif to almost zero negative reaction in 2012, with the new bird being slightly slimmer, less rough around the edges and pointing more sharply towards the sky. Now it is Uber’s time to face the music, with public reaction to the company’s new logo being mixed at best. The move was catalysed by CEO and Co-Founder Travis Kalanick, who compared the old logo – a simple black ‘U’ on a white background – to a 90s hairstyle that had gone out of fashion. In its place is a new logo that – when applied to the same hairdressing terminology – is more akin to the Donald Trump seven-styles-in-one look, and has attracted comparisons to Pac-Man and the crest of Spectre, perennial architects of James Bond’s misery. In his explanation behind the change, Mr Kalanick gave the following explanation: “We exist in the place where bits and atoms come together. That is Uber.” If you’re perplexed, you’re not the only one. The logo redesign is intended to be part of a wider change in the company’s approach to how it presents and projects itself, which is fundamentally a public relations issue. Of course, Uber has not had to deal with a backlash the size of what Gap was forced to deal with when the company underwent an image revamp in 2010. Such was the level of rejection on social media, with claims that the change damaged brand reputation, that Gap was forced to do an about-turn and scrap the motif after just one week. The way in which this was handled was also the subject of much criticism, with the company’s president taking to social media to defend the decision, before asking customers to submit their own designs, and ultimately being branded out of touch. It was a PR headache that Gap wanted to avoid, and raised questions about the company’s approach to business and position in the market, all of which could arguably been avoided had it used customer sentiment to inform any changes in the first place. It brings both the face and the voice of the company together and helps to form the reputational aspect, which then feeds into the success of the brand. Successful branding is an art form, and perhaps the most perfect example is Apple, which happens to be the world’s most valuable brand. The company’s original logo was an elaborate drawing of Sir Isaac Newton sitting under a tree, but Steve Jobs – wisely – realised that this would be unlikely to foster any recognition of his fledgling company. And so the rainbow-coloured Apple with a bite mark was born, and would go on to adorn hundreds of millions of products in every corner of the world. With it is the mantra ‘think different’, which was implemented by Jobs to help breed into staff the need to differentiate his company from the competition, and to let the public know that it was always aiming to travel in new directions. The occasional minor cosmetic alteration has taken place to reflect changing times, and the rainbow font that Jobs instructed “to humanise the company” is now replaced by a 21st century chrome effect, but the logo is no less recognisable for it and – despite the geometric similarity – certainly wouldn’t be confused with Pac-Man. In Apple’s case, it has worked hard to maintain the integrity of its brand by striving for constant product innovation that taps into consumer desires and creates a public perception that they need the products it creates, rather than simply wanting them. The argument could be made that you can’t put a price on brand value, but in Apple’s case you can – $145.3 billion, to be precise. Its ascent to the world’s most valuable company has been supplemented by a long and careful approach to protecting the brand, which has reaped benefits. In an age where brand reputation is integral to business success, it is vital to safeguard a company’s image, and this extends far beyond having an attractive a logo. 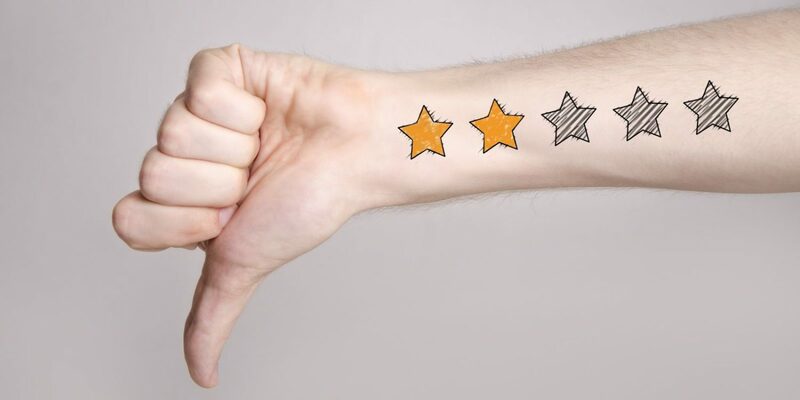 All public-facing communication must be finely tuned to ensure that customer sentiment remains positive, and only then can brand reputation increase.